Forensic engineering is a discipline of court investigation which affects any structure which does not do its intended job, resulting in unforeseen consequences to innocent individuals. This discipline as long been a part of court cases and inquiries where accidents have happened due to faulty engineering. Throughout the time of the Industrial Revolution, there were many cases of engineering failure, as new structures were built which were more complex than anything which had yet been designed. These accidents could be responsible for huge chaos and massive loss of life. One of the most common cases of failure was that of railroad bridges. The railroad was one of the major driving forces behind the Industrial Revolution, and more railroad lines and more bridges were constantly being built. Bridges were necessary to take the railroad over rivers, uneven contours, and other natural features which could not be traversed any other way. The failure of such a bridge demanded a public inquiry, and the feature of that inquiry had to be the report from the forensic engineer. The exact cause of the failure had to be determined so that it could be learned from. In the modern era, there are a great many accidents involving road vehicles. Sometimes, the cause is obvious, and will not even be contested by anyone involved in the accident. At other times, though, it will be hard for those present to determine the exact cause of the accident. It can be obvious which vehicle went out of control, but not why. A forensic analysis can help to determine exactly why the vehicle lost control. A driver could be accused of making a fatal error, when in reality they had done absolutely nothing wrong, and the failure had been purely mechanical. 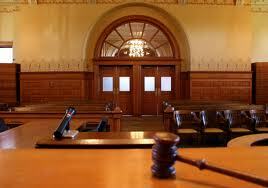 Another phenomenon which has grown in the modern era is that of the personal injury lawsuit. The result of such a case will often be determined by the degree to which the person or company being sued was negligent in allowing the accident to happen. Proving that a mechanical fault occurred which no-one could possibly have foreseen or countered can make the difference between losing a business and being able to continue virtually unscathed. Training for a career in forensic engineering is an extremely involved process, and should only really be undertaken by someone who has the right engineering background. If you don’t have this, look on breaking into forensics as the end goal in a long term process. The first step will to be to develop the kind of engineering knowledge and background which will make this type of career a possibility. Once you have the knowledge of engineering, you can then begin the specialist study of forensic engineering.